Making brussels sprouts on a weekly basis in the winter has led to some innovation. My commitment to these tiny green cabbages has allowed me to perfect their preparation. 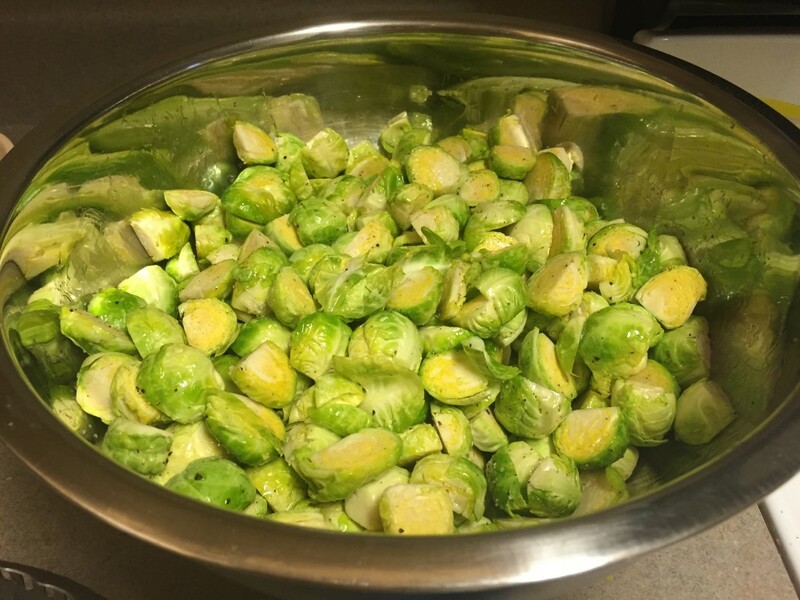 The sprouts I served for Thanksgiving dinner were by far the best I have ever made! I was never a believer in roasting bacon in the oven but I have started doing it with this recipe. I don’t think it is any different from frying and it does save you some time caring for bacon on the stove. Roasting truly brings out the best flavor in these brussels and allows the most even cooking. This is another vegetable dish with simple ingredients where the fabulous flavor is in the choux de Bruxelles. During my recent visit to Asheville I went to a bunch of breweries. It was fantastic! I was honestly losing faith in craft beer for some time. It seems that everything is starting to taste the same – super hoppy. The breweries of Asheville have renewed my excitement! 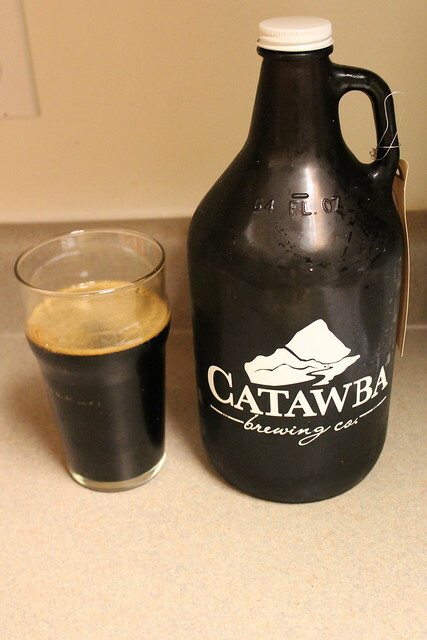 I brought home a growler of Catawba Brewing Hyper Monkey Java Stout and was sad to drink the last drop. I have always loved coffee inspired beers – since my first taste of Mccoy’s Broadway Porter in KC. I love getting some caffeine with my etoh; especially when it’s not in the form of the obligatory redbull vodka. I drank this Java Stout with my Thanksgiving dinner, where I ate mostly brussels sprouts, and it was insanely good. Preheat oven to 350 degrees. Line a rimmed baking sheet with foil. Place pecans on foiled baking sheet. 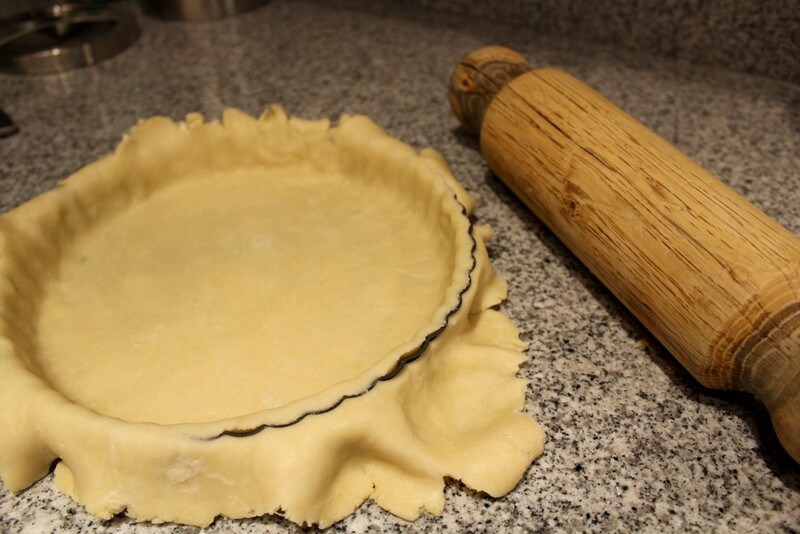 Bake for 5 minutes until fragrant. (What them closely!) Chop coarsely. Increase the oven to 400 degrees. 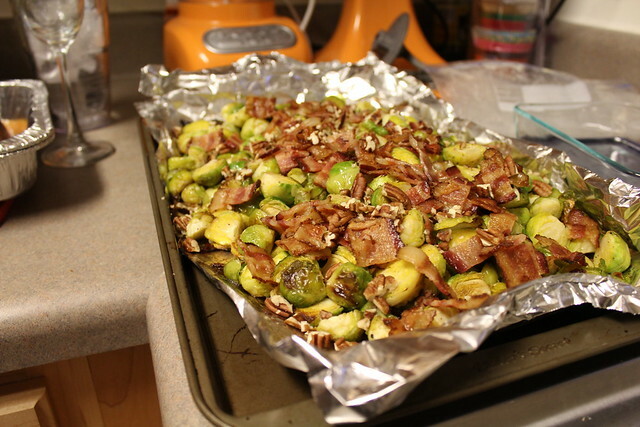 Using the same foil lined baking sheet, lay out the strips of bacon, allowing space between the bacon strips. Roast for 20 minutes, rotating halfway through, until bacon is slightly crisp. Remove bacon from pan and place on a plate lined with paper towels. Save the rendered bacon fat in a bowl. Throw away the used aluminum foil. Finely chop bacon after it has cooled slightly. Increase the oven to 425 degrees. Line a baking sheet with foil. Toss the brussels sprouts with bacon fat, olive oil, salt, and pepper. Spread out over the baking sheet. Roast for 20 minutes, stirring the sprouts and rotating the pan halfway through. The brussels sprouts should be fork tender and caramelized. Drizzle with balsamic vinegar – toss to coat. Taste and add salt and pepper if needed. Just prior to serving – top with the toasted pecans and bacon. I have been making so many good things lately that I have 10 blog posts / recipes in progress right now. My brain has been very overwhelmed with the incredible flavors of summer. We are also coming up on one year of blogging at the Bubbly Kitchen which is oh so exciting! I think you guys may be getting tired of complicated multiple step recipes, fancy wedding cakes and cookies, and bread recipes. So lets press the easy button and sooth our aching backs with a simple BLT salad. Remember when you doubled the bacon in your potato and onion volcanoes, the caramelized onion and gruyere pizza, and your french onion soup? Well here is a sort of healthy way to use that extra bacon! 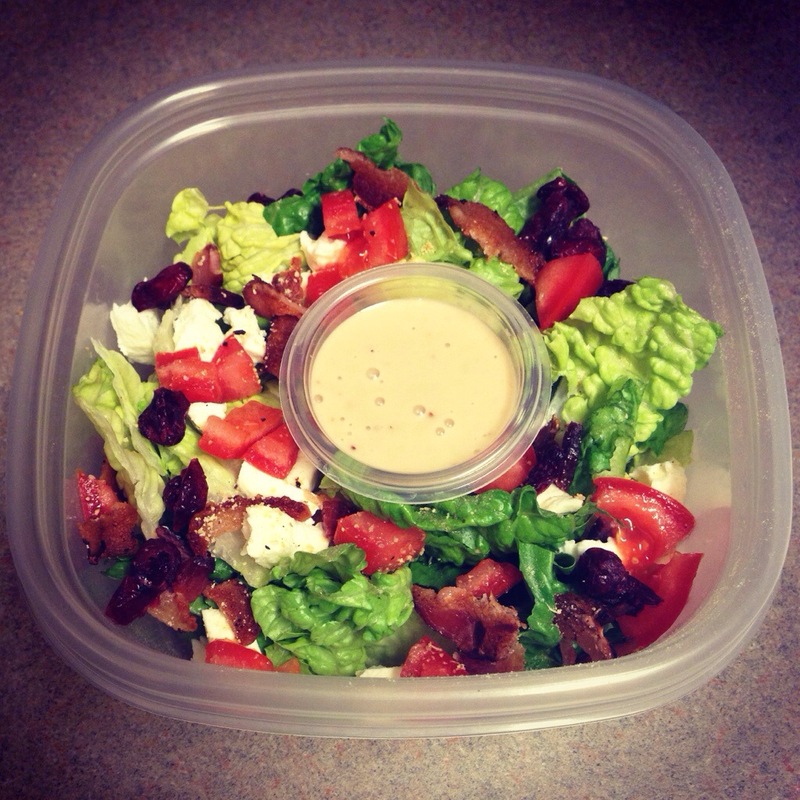 I love taking salads to work for lunch because of these amazing GladWare Food Storage Containers . There is a separate little tupperware for the dressing that plugs into the lid, no soggy salad and totally easy transport. This is also a really great salad for summer barbecues. 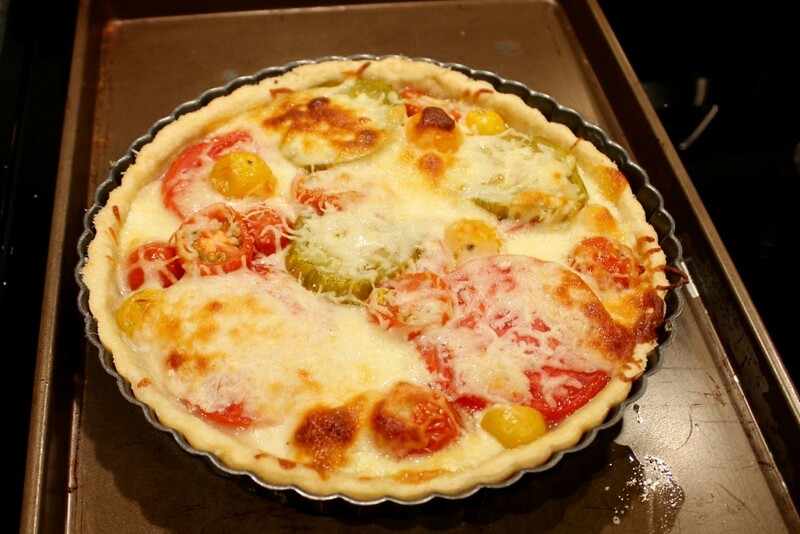 It is an amazing way to include some of those fresh tomatoes from your garden. I like ranch dressing with this salad but you should use whatever sounds good to you. So this maybe should be called a BLT-M because of the cheese. You can definitely use whatever mozzarella cheese you find at the store, I like to buy fresh Belgioiso pre-sliced mozzarella. You can even add in some homemade croutons if you so desire. Start by chopping up the tomatoes, bacon, mozzarella, and eggs. Toss these with the lettuce. Toss with the ranch dressing. Yes it is that easy. My family seems to be getting into gluten free and vegan recipes, and so just for them I have been working on this Mexican Quinoa. It is gluten free and vegan. I also just planted jalapenos and cannot wait to make this with my own patio grown jalapenos! This was my first adventure into the trendy grains people keep talking about. Quinoa is actually a seed though, but its still pretty popular right now. I was very happy with the texture and flavors of this dish. This is perfect for dinner and the summer and makes delicious leftovers. You can make a perfect lunch bowl with this and a mixed greens salad. This quinoa is great warm or cold. 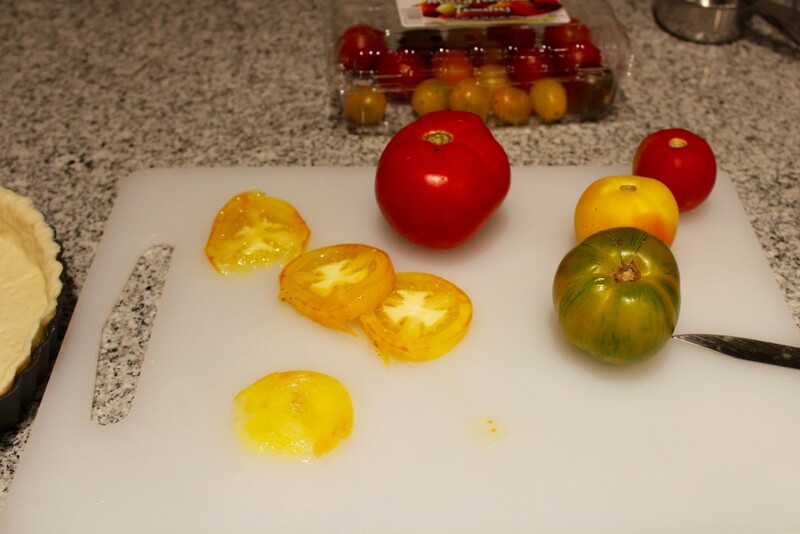 You can add salsa (my preference – salsa verde) to the finished product, kind of like a salad dressing. 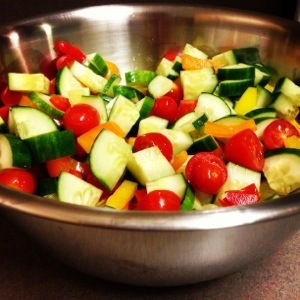 My absolute favorite way to have this salad is actually the next day. 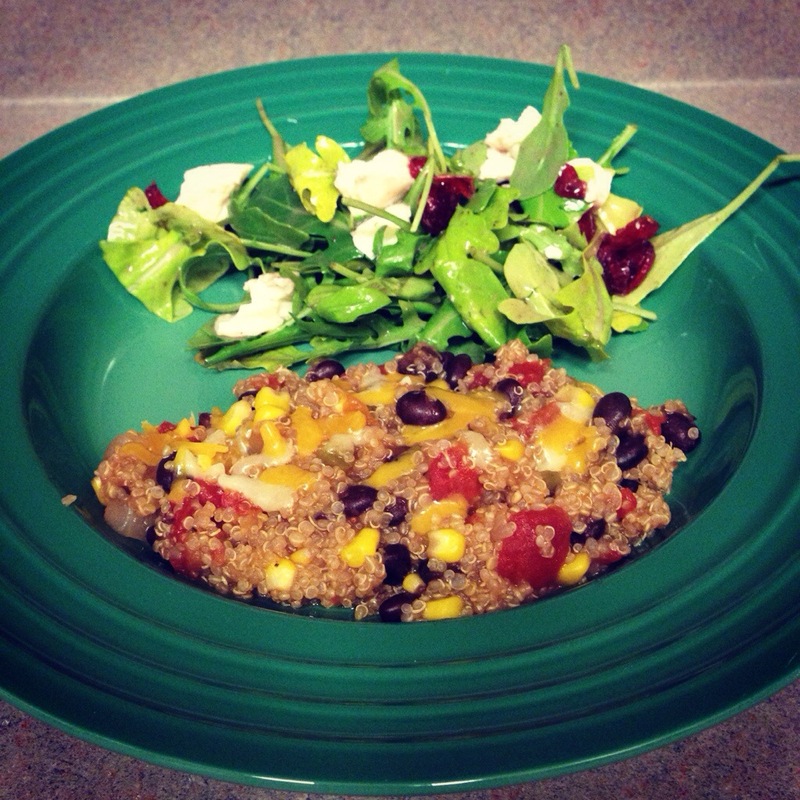 Step 1, make your Mexican quinoa in advance. Step 2, pack the quinoa in a cooler with chips and salsa, limes, and Coronas. Step 3, squeeze a lime over your quinoa and into your Corona. Step 4, have a fabulous picnic by the beach or the pool. Sour cream, avocado, salsa, shredded cheese for serving. In a medium saucepan, heat the olive oil over medium heat. Add the onion and cook for 5 minutes. Add jalapeno and garlic, saute for 2-3 minutes until fragrant. Add in the tomato, garlic, and corn, cook for another 2-3 minutes. Mix in the quinoa, stock, black beans, and salt. Bring this to a boil and reduce the heat to low. Cook, covered, for 20-25 minutes. It is done when all the liquid is absorbed. Fluff the quinoa and serve. Recipe adapted from Peanut Butter Runner.